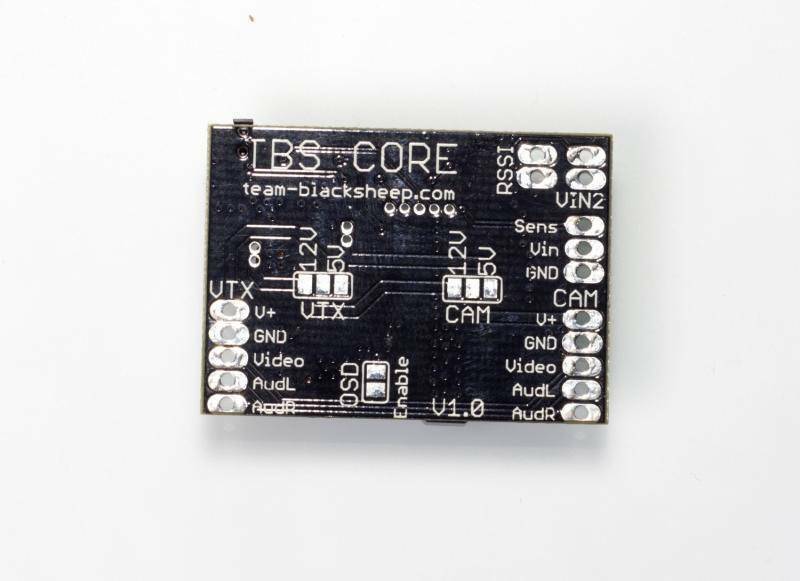 The TBS CORE is a progression of the revolutionary TBS Power Supply Unit. It supplies a selectable 5V or 12V to video transmitter and camera regardless of input voltage (2S to 10S). 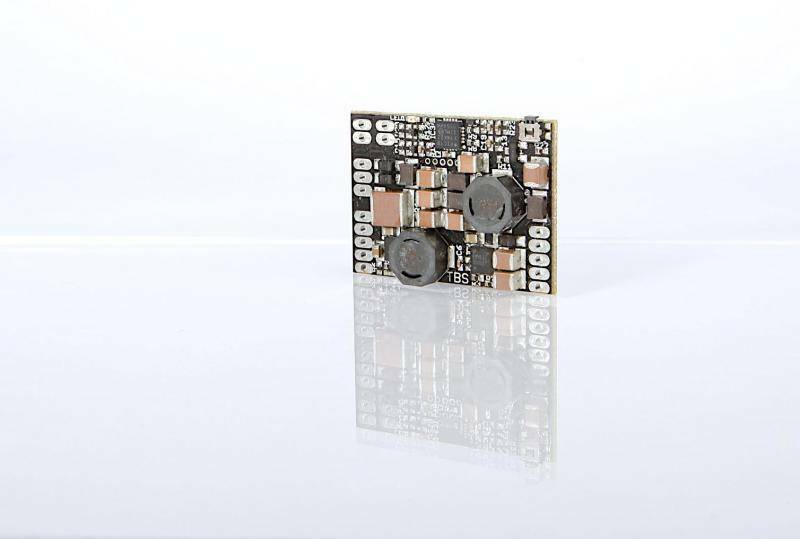 The TBS CORE can supply video transmitters with up to 1W (with minor airflow at 1W) of emitted power (EIRP) and a standard FPV camera. We have also built in an optional OSD. In a nutshell, it simplifies FPV setups and is a safety feature every FPV plane should have. 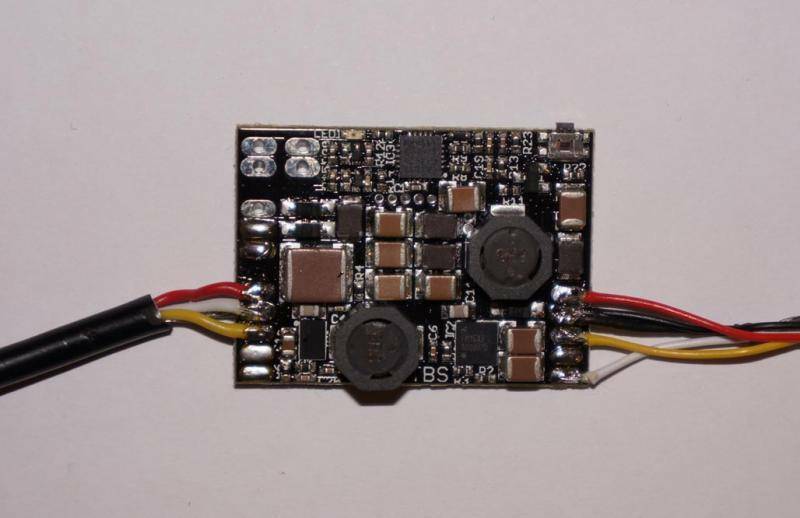 No more cutouts due to low voltage, single battery FPV systems prevent you from forgetting to charge spare batteries, the simplified wiring reduces points of failure. Why did we change the name? The TBS CORE is no longer just a power supply unit. For most planes that you do not fly long range, it's the only thing you'll need short of a video camera and a video transmitter. 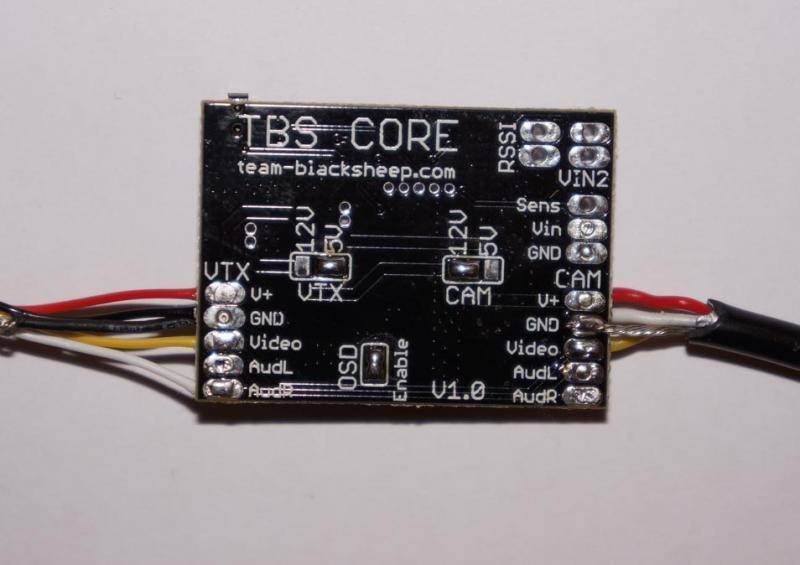 In our view, the TBS CORE sits at the core of your FPV system. That's why we gave it a new name. Installation is quick and easy: solder the TBS CORE between your camera and video transmitter using the supplied cable, the PSU will provide a constant voltage along the full life of your batteries for both camera and transmitter. The redundant input power makes sure you have video signal even if your main battery is completely flat, so you can always locate and recover your plane. Installation on the plane is suggested to be somewhere between the transmitter and the OSD or camera, while keeping distance to the R/C receiver. Protect the PSU using shrink-wrap to prevent short-circuits or other damage to your equipment. 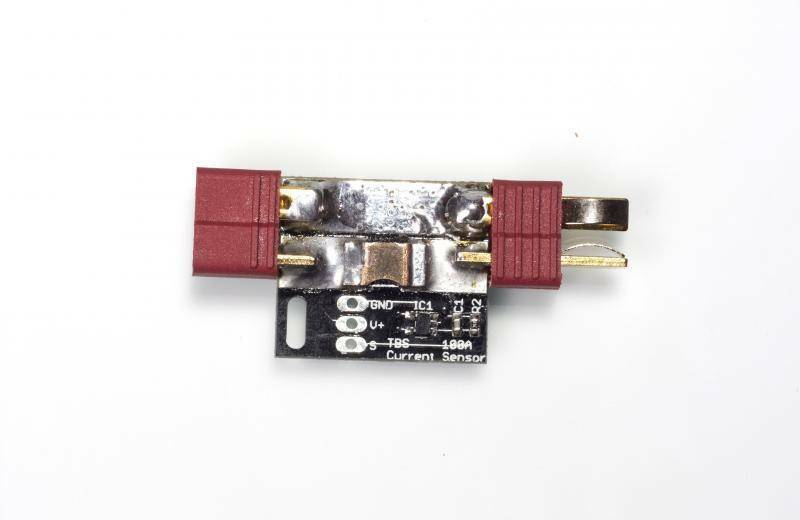 This item is also protects your camera against current-surges when connecting the batteries. Since this is a switching regulator it does not need to be ventilated or exposed and can be buried in your plane for maximum durability.